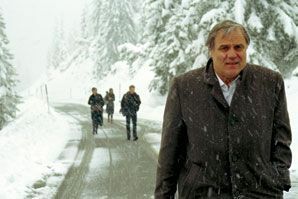 Georg, a successful architect and father of two grown-up children, travels with his family to his estranged mother's funeral in a remote mountain village. Once there, secrets from his past begin to emerge and the family finds itself thrown into doubt and turmoil. This well-crafted family drama is blessed with strong performances and an intelligent narrative that grips from start to finish.